The shooting of Yogi Babu starrer ‘Dharma Prabhu’ commenced in Chennai with grand set works of Yamalokham erected in AVM Studios. Following this, the second schedule in Pollachi had the episodes involving Bhoologam shot and the crew has successfully wrapped it up after 20 days of continuous work. It had new inclusion of actress Janani Iyer and actor Sam Jones who are playing cameo roles. After a small break, the final schedule will commence soon in Chennai. 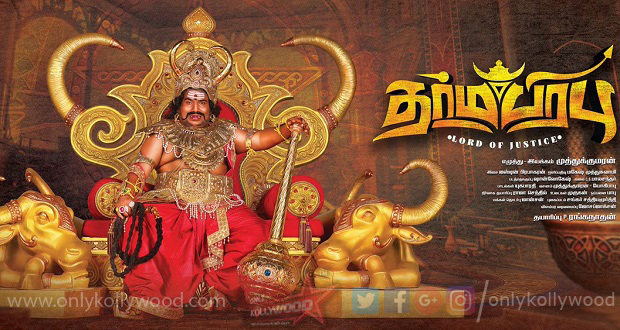 Dharma Prabhu is a fantasy comedy starring Yogi Babu as the son Yama while Radharavi will appear as his father Yama with Ramesh Thilak performing the role of Chitra. Mahesh Muthuswamy is handling cinematography and Justin Prabhakaran is composing music with Yugabharathi penning lyrics. The film is produced by P. Ranganathan of Sri Vaari Films and directed by Muthu Kumaran.